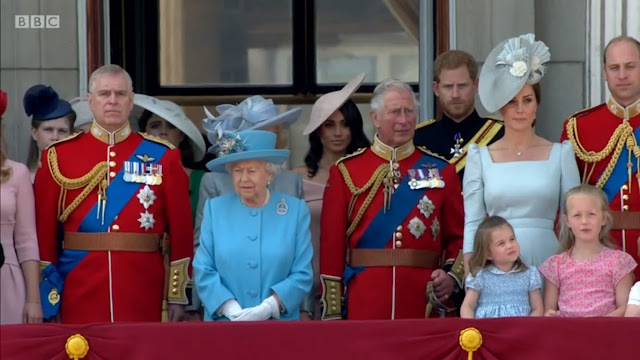 Her Majesty, accompanied by members of the Royal Family, was present at The Queen's Birthday Parade on Horse Guards Parade at which The Queen's Colour of The 1st Battalion The Coldstream Guards was trooped. Another year, another official birthday, and another appearance for the Brigade of Guards Badge. 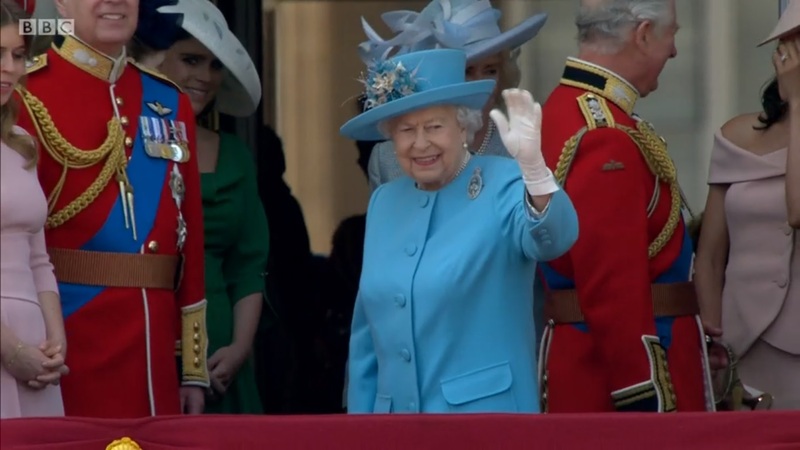 The Queen's traditional choice in the years since she stopped riding in the parade, this badge combines the symbols of five Household Regiments, tying Her Majesty to the different troops that perform Trooping the Colour each year. This year's Stewart Parvin outfit and Angela Kelly hat makes two light blue years in a row for Her Maj. Still giving us time to recover from 2016's neon surprise, I've decided. As for the rest of the family, check out the post at the other blog!